If you’ve made the decision to rent a dumpster from Bin There Dump That for your next home improvement project it’s a good decision. The obvious question is how big of a dumpster do you need? For basic home renovations or a simple cleaning project, you won’t need a large dumpster, but that still leaves you with a couple of choices. If you’re on the bubble trying to decide if a 4 yard dumpster will be big enough it may be better to opt for the 6 yard. What Does A 6 Yard Dumpster Cost? An average cost of a 6 yard dumpster is $250-$350 but the actual cost does vary across the country depending where you are located. We recommend you budget around $350 to be on the safe side. Bin There Dump That's rental fee includes delivery, pick up, 7 day rental and our amazing driveway protection system. Find your local Bin There Dump That to consult about the price of our 6 yard dumpster. What Size Is A 6 Yard Dumpster? 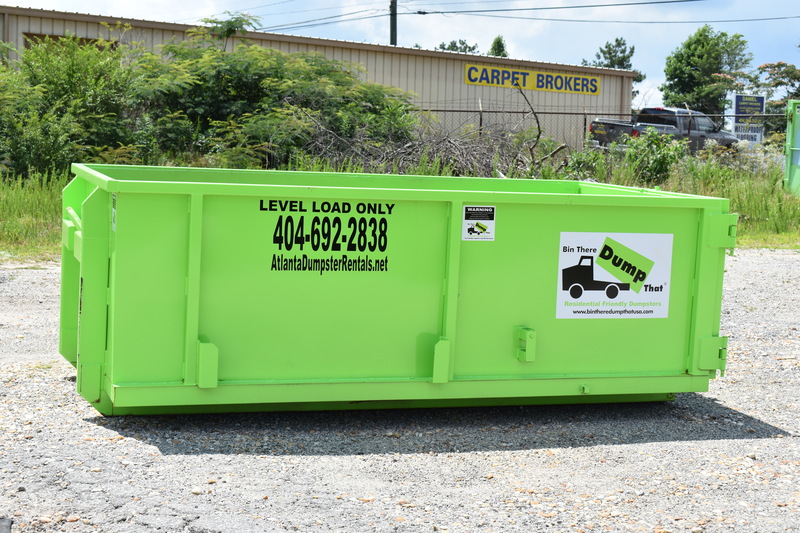 Our sized dumpsters refer to the cubic yards of a dumpster. So, a 6 yard dumpster is 6 cubic yards. The dimensions of a dumpster, however, varies. The specific dimensions for a 6 yard dumpster are 10 feet long, 3 feet high and 5.5 feet wide. For a visual reference, you can find one here. What Does A 6 Yard Dumpster Weigh Empty? Our 6 yard dumpsters approximately weigh 1,700 lbs without any waste material in the dumpster. But remember, it does not matter how much the empty dumpster weighs, rather how much the material weighs inside the dumpster. You can use a 6 yard dumpster for all of the same projects you would typically use a 4 yard unit for. It’s perfect for simple home renovation projects, clearing out the garage, or your latest landscaping project. The difference is it gives you that little bit of extra wiggle room. If you’re not convinced that a 4 yard dumpster is big enough then the 6 yard option is the best solution. It’s frustrating if you have to hire someone to make multiple trips to haul away your waste – especially if you’re paying them extra for each trip. It would be just as frustrating to rent a 4 yard dumpster only to find out it’s just not quite big enough. The experts at Bin There Dumpster work closely with you to make sure you’re renting the right size dumpster and if they think it’s best to go with the 6 yard option they’ll let you know. No need for multiple trips to the landfill. When you rent a 6 yard dumpster you can eliminate a lot of household waste in one shot. The best part is you never have to leave your home to do it. The dumpster is delivered to you and carefully placed in your driveway on boards that protect your property. We’re very careful to make sure that there’s no damage. All you have to do is fill it up and call for removal once you’re finished. A 6 yard dumpster is the ideal compromise. It’s capable of holding a sizable amount of waste material. You can’t use it for major projects such as a complete home remodeling project, but for most one or two room jobs it’s perfect. Disposal and haulage fees are included in the rental and you don’t have to worry about permits as long as it’s placed on your own property. One of the best features of a 6 yard dumpster from Bin There Dump That is that it won’t actually take up any more space in your driveway than the 4 yard unit does. They’re both 10 feet long and 5.5 feet wide. The difference is that the 6 yard dumpster is 3 feet tall and the 4 yard dumpster is 2 feet tall – that’s where you get the extra 2 yards of disposal space. If you have a small driveway, but a lot of material to get rid of this dumpster is the best choice.